I believe that education has the power to change the world, and it is started from within the classroom. I have experienced teaching in and out of the classroom; through practicum and tutoring, and because of all these experiences, I have developed a personal philosophy on teaching. Before teaching the curriculum, it is important to establish a community within the classroom. In order to motivate students, they must feel secure and safe in their classroom amongst their peers and their teacher. The beginning of the school year should be dedicated to creating the community, and this can be done through several ways. Firstly I feel that it is important to establish a level of trust through active listening, acknowledgement and communication. Not only is this important amongst the teacher and the students, but through student relationships as well. Secondly, there should be a list of class rules created by the students, for the students. In any case where one of these rules are not being followed, it can be referred back to. Students will feel a sense of ownership over the rules as they have worked into creating it themselves. Secondly, I feel that students should feel in control and in charge of their own learning. Student-led learning will lead them to feel motivated and encouraged to be in school, and actively learn the material. In addition to student-led learning, collaboration must be practiced amongst students. I believe that we need to move away from competitiveness, and embrace a collaborative culture. Think-pair-share is an effective way of incorporating a collaborative culture; students must not only critically think about a topic, but shares these ideas with a classmate and gain new perspectives and knowledge. It also creates an atmosphere where working together is positive, and should be done to further knowledge and learning. I strongly feel that the brain deserves to be exercised. This can be done by challenging our students to think, and in various ways. Students need to be given the opportunity to think critically, creatively, reflectively, and in a higher order. Students should be able to explore in their learning, and understand not only why they are learning about certain subjects, but also how it connects to real life. Making these connections will allow our students to think in these various ways. Lastly, and more abstractly, I feel that as teachers, we must strive towards creating a sense of belief within our students. Many a time, students will receive a certain grade, and subsequently lose motivation. They will believe that the grade represents them as a person, which is not the case. There are several ways to instill a sense of belief in our students, and I heavily rely on two of them. Firstly, feedback is extremely important from the academic standpoint. Students cannot be given a set of instructions, and be expected to create their ‘best work’ final version on one try. Instead, providing feedback throughout the lesson will allow the student to see what they are doing well, and what they need to continue to work on. Feedback will provide the student the chance to submit their ‘best work’. Secondly, it is important to dedicated time to discuss topics outside of the curriculum, especially in regards to stress and anxiety, and feelings towards school and grades. By opening up discussion, the teacher will know where their students stand on these issues, and begin to slowly instill a growth mindset. 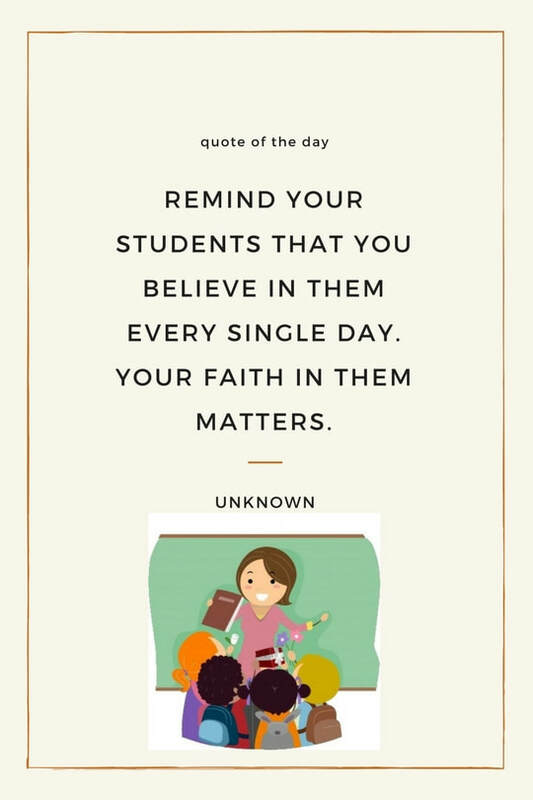 Students need teachers to believe in them, and show them ways to believe in themselves. Assessment is a fundamental part of education, and one of the most complex aspects as well. There are several ways of conducting an assessment, and I have found ways in which I feel strongly about. Throughout my practicums in first year and second, and through my other teaching experiences, I have been able to not only see assessments being done by Associate Teachers and Professors, but have conducted them myself. These experiences allowed me to establish an ideology on assessments. Creating a diagnostic before teaching a lesson is crucial. This allows teachers to see what their students already know, and do not know, on a particular subject. Diagnostics also allow for teachers to decide where their students are currently at in their learning; essentially, diagnostics are an Assessment For Learning (AfL), which plays a critical part in education. Creating a mind map as a diagnostic allows students to be creative in their understanding, and visualize their knowledge on a subject. Mind maps also allow for students to continuously add ideas and points throughout their learning. They can link concepts together, and create relationships between ideas. In addition to linking concepts, students are able to better organize themselves, which in turn, helps them retain the concepts better as well as enhancing their thinking abilities. Mind maps resemble the way a brain categorizes material, therefore using one in the classroom will aid in students remembering and learning the material. The way a mind map looks is, for the most part, up to the students. Colour coding, adding images- these are all additional tools students can use to create their connections. One type of diagnostic that I have continuously used is the KWL, (what students know, what they want to know, and what they learned) which can be used as an assessment for learning. This diagnostic type is something that I use throughout the entire lesson- not only at the beginning. During my second year of practicum, I was teaching a lesson on structures. I created an anchor chart, and my first question for the students was what they think they know about structures. I included almost all answers given by the students, which helped me create further lessons. In addition, asking students what they think they know on a certain subjects allows for the teacher to assess them and see at which point students are at in their understanding. Next, I asked them what they wanted to know, and many of their responses were topics that would be covered. If not, I would make sure to integrate some of the answers to their questions. At the end of the lesson, I would either add to the anchor chart, or use an exit card and ask the students what they had learned. This allows me to see the progression of their learning, and what I as a teacher need to continue to work on, and how I can move forward. Once the diagnostic is complete, we move on to the task at hand. Collaboration is another part of assessment that I feel is essential. One example that I use often is think-pair-share. Students are encouraged to think of their own answers to a given question, and then turn to their partner to discuss their thinking. Finally, the answers are then discussed with the larger class. In large groups, individual thinking can get lost amongst the crowd. However, in a pair, as a teacher you are more inclined to getting answers that are from both students. This allows the teacher to assess the answers on a given subject, and understand at what stage in the learning process the students are at. Think-Pair-Share is an excellent source for Assessment As Learning. The students are in charge of their own learning in this situation. One, simple method of assessment that I feel is overlooked, is observation. During group work, or even independent work, it is important to circulate the classroom, and make note of conversations, ideas, comments, and the work being done independently. Students are given a set of instructions, and through observation, we can see how well they are followed; what parts of the instruction are met, and which ones do the students need help with. It is also beneficial to observe other classrooms as well. Teaching is a career that strongly benefits from collaboration. By observing another classroom, other teachers have the opportunity to see what works, and implement some of the strategies into their classroom (just as other teachers may observe your classroom as well). I strongly believe in the importance of feedback. Students are so quick to look at their marks on projects or tests, and not look at the feedback given which includes important ways for the student to improve, as well as talk about what they did well. Due to this belief, I feel that when students are completing an important project, there should be a form of feedback given throughout the project- not only at the end. This gives students the time to see what they are doing well, and ways in which they can improve before handing in the final product. One form of this is through the use of Google Docs/Google Slides. If students are creating something through these applications, teachers can write feedback directly on their project in the comments section. As they continue to work on their project, they are able to incorporate the feedback given into their work, and reflect upon it. The final product is the summative assessment (Assessment Of Learning), however I feel that in order to get there, the students need guidance and feedback throughout their journey. The end result is an accumulation of all the knowledge the students have gathered over a period of time. It is unfair to give students one set of instructions, a criterion, and evaluate them based on a one-time effort; this is not necessarily the way things work in reality. Consequently, I feel that giving students feedback throughout the process will allow them to create a final product to the best of their ability. At the end of a task, it is important to get a grasp on what your students have learned. I have used many different types of exit cards as an assessment as learning strategy. They allow for me to see what the students understand right after a lesson; they also allow for me to see what aspects of the lesson my students do not understand, and how I can plan accordingly. My exit cards are very simple in that they are just a few questions. I often include a question on one thing they learned, create a diagram or a picture, and finally, if there was group work involved, a question regarding how they felt they worked with their group. I believe that in addition to the curriculum, it is important to work on classroom community, and group work is a major part of that. Exit cards allow for students to discuss what they learned while the information is fresh in their minds, although I also feel that it is important to start the next lesson (on a separate day) with asking the students what they previously learned. This allows me to see what part of my lesson was memorable to students, and what was not. Secondly, it allows me to see if there are important parts of the lesson that the students did not remember, or did not understand. I can begin the new lesson with these aspects. When creating a final product, students need criteria to follow. Rubrics are an important part of assessment, and tell students exactly what they need to incorporate into their final project/assignment. Since I feel that feedback is significant to assessment, using the single point rubric complements this belief. Single point rubrics include the criteria needed to achieve the standard for that given assignment. On the left hand column includes feedback on which criteria the student did not meet, and on the right hand column includes feedback on which criteria exceeded the standard. Using the single-point rubric gives student more opportunity to focus on feedback, rather than solely on grades, since the students are only technically seeing criteria for one level grade (level 3). There any many different ways to assess students, and not just one way is correct. I strongly feel that teachers should try out different types of assessments in their classroom to see what works for their students at a specific time. All students learn in different ways, therefore they should be assessed in different ways to compliment their learning. My ideology on assessment is one that I know will change over time, especially when in charge of my own classroom. Assessment practice is one that will be changed and rearranged time and time again, however, it is important to begin to find methods in which you feel suit you as a teacher; this is what I have begun to do. · How does your understanding of differentiation compare to what you have observed in your practicum? · How will strategies for differentiation and engaging all learners be reflected in your practice? 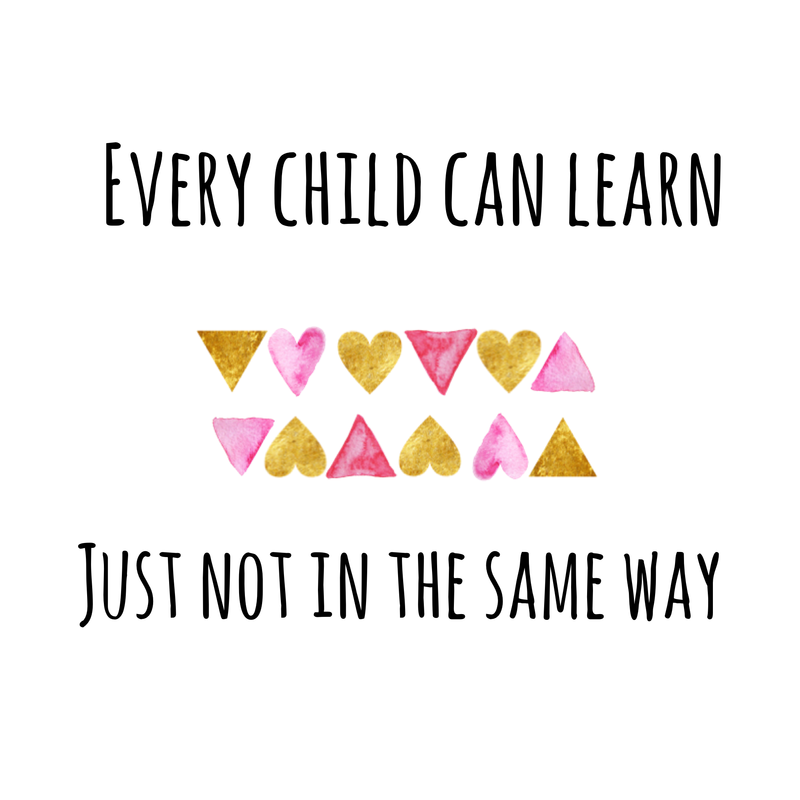 One of the greatest ways we can help our students is through differentiation. What is differentiation? Basically, it’s the way we should have been teaching all along. Every student learns a different way; students have their own needs. As a teacher, we must teach in a way that encompasses most, if not all, of these different styles and needs. This can be exceptionally difficult to do, especially in a large class with many different learning styles. However, we can try our best to use a variety in our classroom. In my current practicum placement, I see differentiation all the time. One student in particular has a very specific learning style, and very specific needs. His needs are consistently met through assignments (given more difficult problems in and out of the classroom), seating arrangement (can sit in a certain spot that will help him learn), and through communication (letting the student know what will be coming up next, in addition to other techniques). These are only a few to name for this specific student, but there are many strategies for the other students as well. One other example is for a student who has difficulty with spelling. This technique works with others as well (universal design), however it especially works with student A. During times in which students must journal, or create text-to-text/self connections, the spelling is not something that is always looked at. We encourage students during these times to simply write, and not think about the spelling. Content is just as important as spelling. For student A, he becomes more motivated to write, knowing that this bit of differentiation is being used. I strive to use differentiation in my practice. In the past, I have been in a split grade (one and two). Certain students needed the opposite grade’s worksheet, and I was aware of which students needed this. In this case, I would tell all my students that they could start with either their grade worksheet, or the other one, and then once they were finished with that, move on to the next one. This allowed for all Grade 2 students to use the Grade 1 worksheet as a refresher, and the Grade 1 students to see what they could do from a Grade 2 worksheet. Students that needed this differentiation did not feel out of place using another grade’s worksheet. During this year’s practicum, whenever there is a group discussion, I make sure to write down all points on an anchor chart. Students that need to look back at what we spoke about have this opportunity. The anchor chart will remain up for the duration of their activity. I also put schedules on the blackboard of the tasks they need to complete, and in what order. Lastly, I make sure to have visuals. If the students are creating something, most of the time, I have an example of the creation (one case I did not give an example was when they were building structures. I wanted to see what they could create on their own!). These are, of course, only a few examples of differentiation that either I do, or am apart of. I feel that differentiation is something all teachers and educators should strive to do in their classrooms. It is beneficial for all students, and will make school a safer and more trusting place. Mental health in students is an extremely important topic all teachers and educators should be discussing. One way of integrating positive mental health and well-being is through the growth mindset. During my practicum, my associate teacher and myself often make it a point to tell the students that making mistakes is part of learning, and it is what makes their brains grow. Through this, as Carney, Muskoka and Parr suggest, we are creating a classroom environment that supports socio-emotional learning. Allowing students to make mistakes, and create a classroom community, in which they are not afraid to do this, allows them to firstly manage their emotions, and secondly create positive school goals. Fogerty explains that we should not shelter children from challenges, but instead we need to believe in their potential. During my practicum this year, there is ample opportunity for growth through challenges during their school day. Every student has the chance to try out different activities and lessons, and nothing is made with the assumption that a student may not be able to complete it. All lessons and activities are made with the belief that they can. One strategy that I will incorporate into my practice is incorporating yoga into their gym routine. I want to integrate a calming, mindful routine and yoga for kids is very helpful. There are also a lot of online applications and tools dedicated to yoga for kids that are effective and easy to use. The second strategy I want to integrate is integrating DPA’s in the classroom at least once a week. When gym is not in the daily schedule, especially with younger students, they may need to exert energy. Lastly, I feel that instilling a growth mindset is something that is done not in a single lesson, but over a period of time. It is a mindset that may not come easy to some students, and will take time to absorb. History has shown us that schooling (amongst other factors) has led a lot of us to have a static mindset. Changing this way of thinking is extremely difficult, but something I believe to be worthwhile. We should be encouraging our students to overcome challenges and face them head on, all whilst not being afraid to make mistakes in the process, as mistakes are part of the process, not the problem. Strategies in regards to instilling this mindset are; having anchor charts that show and portray the growth mindset. 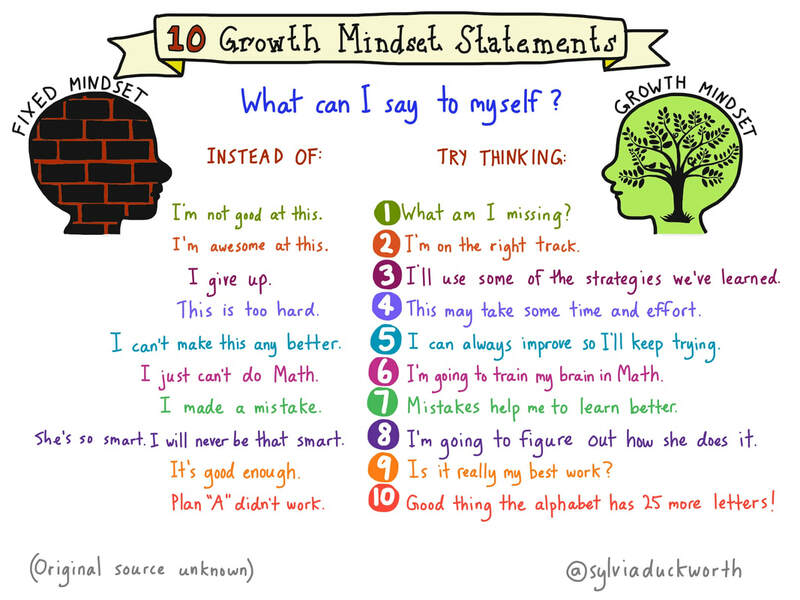 Also, by simply repeating to students the idea of growth mindset, eventually, it may begin to set in. Lastly, model the growth mindset. If there is a question that I do not know the answer to, I am not afraid to tell my students that I don’t know the answer, but we can find it together. As a teacher, we should not be afraid to make mistakes either, seeing as this is something we want to impart on our students. As a teacher candidate, it is important to be observant during your first few days of practicum, and begin to create goals that you want to accomplish throughout your time with your placement class and school. I am currently placed at Convent Glen Catholic School in a Grade 3 classroom. I initially went into practicum with a list of goals in mind that I thought I wanted to set. However, after a few days of observation, my goals soon changed. Originally, I had set goals for myself. These goals involved teaching a certain way, speaking a certain way; goals that we’re essentially all about me. These goals changed. I am placed with an amazing Associate Teacher whom I cannot wait to learn from. I love her teaching style and the way she manages a classroom. You can truly see her passion for teaching, and in this, I began to create goals that we’re centered on the students. I believe that good things come in three’s; therefore I have set three goals for myself. Goal #1: Create lessons that involve cooperative learning. I believe when students, or anyone for that matter, work together as a team, ideas and motivation flows freely. It can be intimidating when faced with a new problem or topic to come up with ideas independently. When paired with a partner or in small groups, there is the possibility of cooperative learning, divergent thinking, and even gaining experience in teamwork. Goal #2: “All inquiry learning is messy, but messiness is part of the transformation” (An elementary principal). An important part of teaching is getting a sense of what is working for our students, and what is not. A simple and great way to figure this out is by asking the students themselves. I want to create an atmosphere in which students are comfortable having a conversation about their learning. What part of what I am teaching is working for them, and what part is not? What part of their experience is working for them, and what is not? The only way we can gain insight into their experiences and continue to help them, is by asking them. Goal #3: Establish trust. For the first few months, as a teacher candidate, I am only at my placement school once a week. Since I do not see the students every day, it may take longer to establish a trusted relationship with them. I strongly believe that in order to teach, inspire and motivate, we must begin with trust. I want my students to know that I am here to help them succeed and learn. I want my students to know that I believe as a team, we can not only gain new knowledge, but also make school something they look forward to every morning. I have done readings from “Spiral of Inquiry” and “Invite! Excite! Ignite!” “Spiral of Inquiry” states that we need to focus on one or two areas that we want to improve. This resonates with my goal setting process. I have selected (in this case more than two) a few areas that I want to work on. It is not realistic to set a list of 10 goals, however by setting 3, I can work towards them and set realistic expectations. The central questions of focusing are “what is going on for our learners” and “how do we know”. My second goal involves just that; asking the students what is working for them, and what is not. The only way this focused goal will work is if I collect feedback from my students and move forward. The second reading talked about less is more: less teaching, and more learning through discovery learning (Fogarty, 2016). I am a firm believer and advocate for hands-on learning. I feel that if students are in charge of their own learning, they will feel a sense of independence, accomplishment and responsibility. When we let students take the lead, ask questions and go off on their own adventures, they are able to make connections from what they are learning in school to the real world. Student-centered learning will lead to more questions being asked, and more discoveries being made.